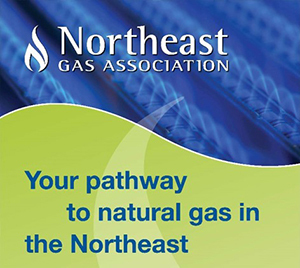 The Northeast Gas Association (NGA) is a regional trade association that focuses on education and training, technology research and development, operations, planning, and increasing public awareness of natural gas in the Northeast U.S. The Northeast Gas Association's mission is to promote and enhance the safe, reliable, efficient, and environmentally responsible delivery of natural gas to customers in the region, and to advocate for the industry from production to delivery. NGA represents natural gas distribution companies, transmission companies, liquefied natural gas importers, and associate member companies. These companies provide natural gas to over 12 million customers in nine states (Connecticut, Maine, Massachusetts, New Hampshire, New Jersey, New York, Pennsylvania, Rhode Island and Vermont). NGA was established on January 1, 2003. Its predecessor organizations were The New England Gas Association (founded in 1926) and the New York Gas Group (founded in 1973).